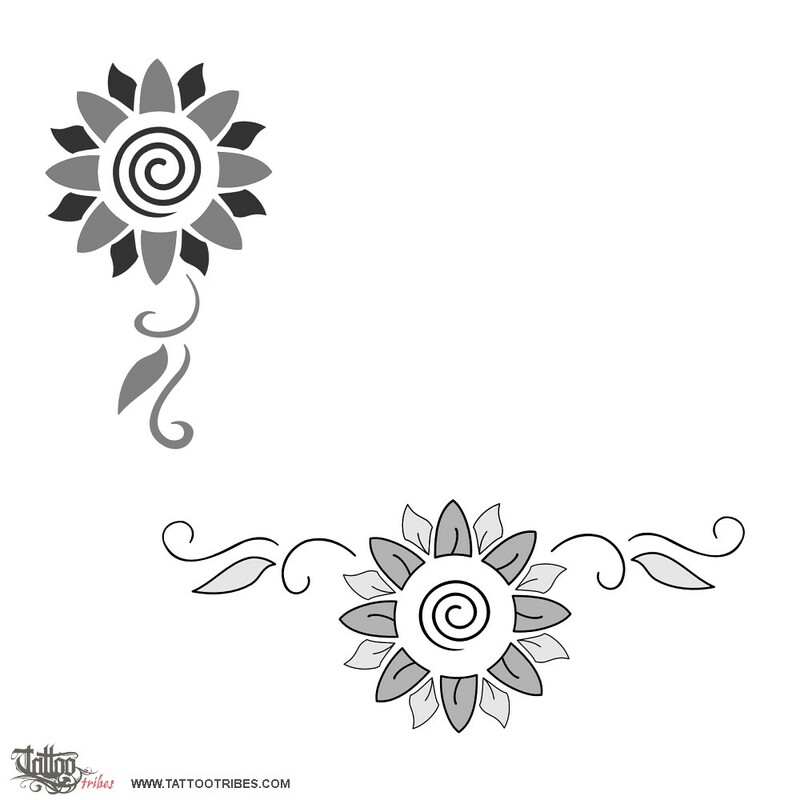 The sunflower is associated to multiple meanings: joy, pride, loyalty, beauty and movement, the latter one probably on account of sunflowers rotating during the day to follow the sun. Being the flowers that represents the sun, we added a spiral on the inside, a symbol of eternity and cycles, that has always been sun-related. 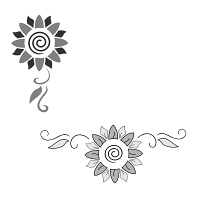 We prepared two versions, making them fit both vertically and horizontally (the leaf and swirls could be doubled in this case).